More than half (58%) of young LGBT+ people are not open about their sexual orientation or gender identity at work because they worry they will face discrimination from managers and colleagues, with 1 in 3 (31%) LGBT+ people admitting they went ‘back into the closet’ when they started their first job. This figure rises to 41% among 18-25 year olds. New international research, commissioned by Vodafone from research firm Out Now surveyed more than 3,000 LGBT+ young people across 15 countries and multiple industries, has found that the reasons young LGBT+ people feel unable to be out or open at work include: worrying that colleagues will react negatively (60%); fearing their career prospects will be worse (42%); and feeling they will be less likely to get promoted (33%). Many of those surveyed said that not being open about their LGBT+ status had negative repercussions, with nearly one third (28%) saying they had been less productive at work as a result. The Vodafone/Out Now research also found that over half (51%) of those surveyed said that they were ‘not out at all’ to their direct manager in their first job, and 37% were not out at all to their colleagues. These figures fall to 13% and 8% respectively in their current jobs, highlighting the need for more support when young people first start work. This extensive research, along with insights gathered from current LGBT+ employees at Vodafone, has informed a new multi-country programme at Vodafone ‘LGBT+ and Friends Connect’, which is aimed at hiring and supporting LGBT+ people in their first jobs and providing training for managers. Three quarters (76%) of LGBT+ employees have hidden their sexual orientation or gender identity at work at least once. Only 29% of LGBT+ women aged 18-35 are out at work today compared with 44% of men, for fear of discrimination. 83% said that clear and visible signs from managers that they take LGBT+ inclusion seriously are important in helping them to feel comfortable to be out or open at work. 83% would prefer to work for an employer that has visible LGBT+ leaders, and LGBT+ friends, allies and supporters. - An interactive learning programme for ally accreditation. “I am saddened that so many young LGBT+ people feel they still have to hide their status in the workplace. We are committed to creating a culture at Vodafone that embraces everyone for who they are, inclusive of sexual orientation and gender identity. Vodafone has a zero tolerance stance on homophobic, biphobic and transphobic discrimination, and works closely with leading diversity and inclusion NGOs on the development of materials and programmes for each of its local and international initiatives. Full set of survey results available to download here. Images and infographics available to download here. Out Now research conducted among 3,200 18-35 year olds in Australia, Czech Republic, Germany, Greece, Hungary, Ireland, Italy, Netherlands, New Zealand, Portugal, Romania, South Africa, Spain, Turkey, UK. Vodafone Group is one of the world’s largest telecommunications companies and provides a range of services including voice, messaging, data and fixed communications. Vodafone Group has mobile operations in 25 countries, partners with mobile networks in 46 more, and fixed broadband operations in 18 markets. As of 31 March 2018, Vodafone Group had 535.8 million mobile customers and 19.7 million fixed broadband customers, including India and all of the customers in Vodafone’s joint ventures and associates. 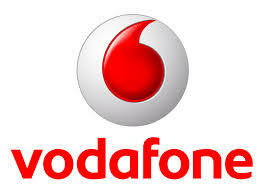 For more information, please visit: www.vodafone.com. Out Now focuses on addressing the many important issues faced by LGBT+ people - and the allies who support them. Established in 1992, Out Now is now in its 27th year of delivering leading-edge insights and business solutions to better understand and meet the needs of LGBT+ people. The firm’s corporate mantra is ‘LGBT spells people’ which recognises that what matters most to LGBT+ people is not marketing, research or PR, but actual understanding and practical solutions that are able to assist LGBT+ people to live better lives, enjoying equal standing and respect - all over the world. Out Now provides specialist award-winning communications, strategy, education, training and research services.